Download a copy of this report in PDF form here. Visuals are one of the most important tools to evoke emotion and get people to act. The effectiveness of images is rarely tested, despite their critical role in strategic communications. 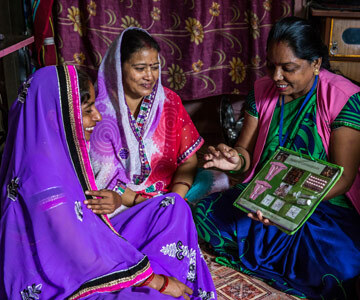 This report shares findings from image testing on the issue of international family planning, conducted with more than 200 American family planning supporters and donors using an interactive online survey. We hope these findings and recommendations help NGOs and advocates working in international family planning and reproductive health become even more effective in their visual communications. Images that showed people holding concrete objects used in family planning work—like oral contraceptive pill packs or an anatomy model of a uterus—were chosen by respondents as the most compelling images throughout the survey. These images were also selected as the ones that respondents thought would inspire other people the most.selected as the ones that respondents thought would inspire other people the most. 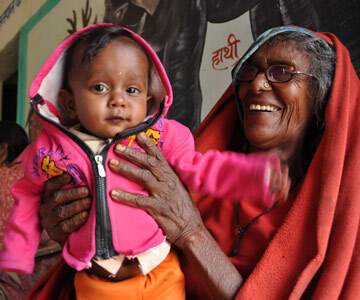 An image of a mother with a wide smile holding a baby was rated very highly as reflecting the goals of family planning and as being an effective image to motivate others to support international family planning. Respondents interpreted the smile as signaling that she was happy, the baby was wanted/planned and felt in charge of her life. In comments on other images, smiles were remarked upon as sending signals of hope and happiness, and resonated highly with respondents. Images of girls studying or in school also tested very well. Respondents clearly made the connection that family planning helps girls stay in school and helps families support their development. 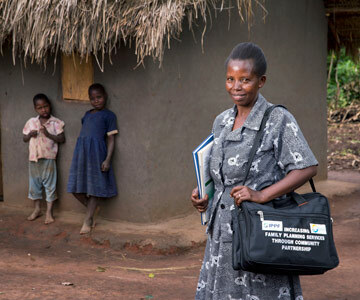 Sometimes family planning groups show images of women working or doing things they might not be able to do without access to family planning. We tested photos of women as business owners, cooks and seated in an office setting. 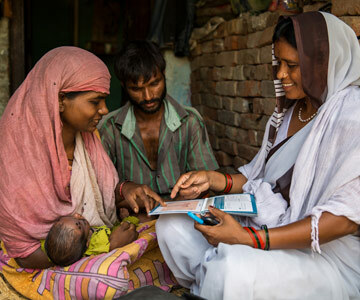 Respondents didn’t rank these photos very high in terms of reflecting core development themes or in inspiring others to support family planning. It’s important to note that these images were shown without any text or real stories that might explain the connection to family planning. Photos of larger groups of people or families in cooking, traveling in a city or sitting together at home didn’t rank very high. Respondents had nice things to say about the scenes in each image (e.g., “they look happy”), but in the end, didn’t see the connection to family planning. What does international family planning look like to you? We asked respondents to tell us what they envision when they think about international family planning. The four highest ranked photos among respondents had the following elements. Respondents said that they liked that the teaching was being done by people who appear to be part of the local community. Throughout the survey, respondents preferred images that showed contraceptives or family planning tools and materials. Respondents reacted positively to the depiction of a happy mother with a wide smile, carrying a baby and a touching image of a father holding his child. The mother’s smile was noted as being the reason why respondents thought she was in control and happy. Respondents also liked seeing a father in a nurturing pose and liked that it signaled including men in family planning was important. 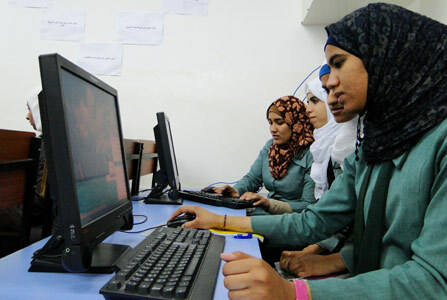 An image of young girls in school resonated strongly with respondents. They indicated that these images showed that girls have a better life when they are educated and that family planning helps achieve this. It’s evident many people understand the connection between family planning and education. Independence: These programs result in helping people become independent and stand on their own two feet. Partnership: These programs work because people from across countries and communities share knowledge, resources and responsibility. Shared values: Everyone deserves a chance at living a healthy life, and every human life is valuable. 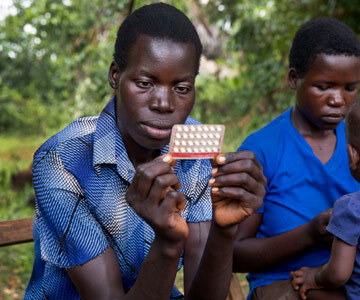 In addition to being the most popular and effective images overall, images showing concrete examples of women holding contraceptives or training tools ranked highest as reflecting the idea that programs lead to independence. An image of a young woman studying also ranked high. By a wide margin, respondents chose images of peer education, focused on women from local communities holding training tools or contraceptives as reflecting the theme of partnership. There was less of a clear trend on this theme. 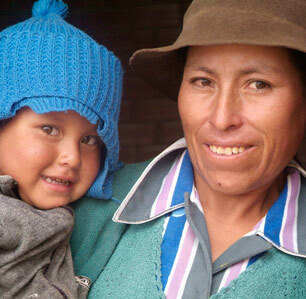 Respondents ranked a tender moment between a mother and child, a grandmother and child and a single girl with hopeful expression as most representative of shared values. However, other images, including shots of families and children smiling were also ranked within a few percentage points of these images, showing that respondents saw various effective ways of representing this theme. At the end of the survey, we asked respondents to rank the images they felt would be most effective to inspire others to support family planning. 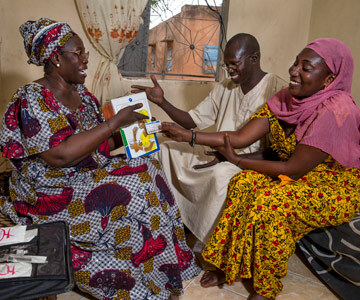 They chose three photos that ranked highly throughout the survey: two of family planning education (using tangible examples) and the image of a mother with a wide smile. Use images that show elements of your work in concrete, tangible ways. Incorporate shots of people holding training tools or contraceptives. Seeing “evidence” of something makes it more memorable and believable. Shots of people smiling can help your audience feel hopeful that this work improves lives. It’s evident that among American audiences, smiles are important and help people interpret whether an individual is happy or hopeful about their own life. Smiles can also activate the mirror neurons in your audience’s brain. Mirror neurons prompt us to imitate what we see (I smile, you smile) and also feel what we sense others are feeling. Select close-up images, with good eye contact to draw the viewer in. People are hard-wired to look back at eyes looking straight at us. We watch people’s faces – their eyes, their expression, to know what they are feeling. Consider using tender moments of parents (or grandparents) to emphasize shared values and the universal nature of family bonds. Those images remind American audiences of their own family connections and can help “shorten the distance” between a viewer and your issue. Be thoughtful in using images that may appear to the viewer as unrelated to the issue you are working on. If you use a shot of someone in a different context (at work or farming), make sure to include a caption or story explaining how and why it is connected to family planning. The image testing was conducted over two months with 223 Americans via an online interactive survey where respondents could comment on specific parts of photos and describe their response and interpretation of the images. The survey was open to all genders, but respondents were overwhelmingly female (94%). By age group, respondents were: Millennials (41%), Gen Xers (30%), Baby Boomers (22%), Greatest Generation (6%). While over a quarter of respondents say they are involved in some capacity with all three of the organizations with which we partnered (see acknowledgements below), 22 percent are not involved with any of them. The most common ways participants reported being involved with each organization were: following them on social media; supporting the organization’s mission; going to the website; and talking to friends about the organization. However, a majority (75%) have not donated to any of the three partner organizations. The UN Foundation provided valuable funding for this research. Thanks to ICRW, PAI and Pathfinder International for partnering on this project, and recruiting respondents from their social media followers and email lists. Special thanks also goes out to the William and Flora Hewlett Foundation for supplying selected images to test. We also want to thank the Bill & Melinda Gates Foundation for their work on developing the Narrative Project, which was a helpful framework to test effective themes. Photo credits: William and Flora Hewlett Foundation, ICRW, Margaret W. Nea, PAI (Sala Lewis and J Cogan), Pathfinder International (Sala Lewis and Quarum Abedin).